While the therapeutic benefits of Traditional Chinese Medicine (TCM) have been recognized anecdotally for centuries, they have often been discounted as “alternative therapies” because there was little scientific proof of effectiveness. Dr. Cheng’s laboratory is working to bring TCM into the mainstream of Western medicine, with hopes of reducing the side effects of chemotherapy, while enhancing the benefits. Since the late 1990s, Dr. Cheng’s team has been exploring the therapeutic properties of PHY906, a Chinese herbal medicine formula. They have discovered that cancer treatment with PHY906, combined with chemotherapy, alleviates the unpleasant gastrointestinal side effects of chemotherapy for colon, rectal, pancreatic and liver cancer patients. Moreover, their research demonstrated that PHY906 also has its own, solo anti-tumor attributes. If there is continued success in three ongoing clinical trials, PHY906 could become one of the first FDA-approved oral herbal medicines for anti-cancer treatment. Dr. Cheng and his team are also evaluating other TCM herbal formulas that could be part of a new class of drugs. Dr. Cheng also discovered deoxynucleoside agents that inhibit cellular DNA and hypoxic cancer cells found in lung cancer. His research also continues to explore the use of anti-viral drugs in preventing or delaying the onset of viruses such Hepatitis B and C and HIV that can lead to liver and other cancers. Yung-Chi Cheng, Ph.D., received his B.S. in chemistry from Tunghai University in Taiwan and his Ph.D. in biochemical pharmacology from Brown University. Dr. Cheng then performed his postdoctoral work at Yale University from 1972 to 1974. Upon completing this work, Dr. Cheng joined the faculty of the Roswell Park Memorial Institute in Buffalo, NY and worked there until 1979. Dr. Cheng was a professor at the University of North Carolina (UNC) at Chapel Hill and became the Director of the Developmental Therapeutics Program at UNC’s Cancer Center. In 1989, he returned to Yale University as the Henry Bronson Professor of Pharmacology and Director of the Developmental Therapeutics Program of the Yale Comprehensive Cancer Center. Dr. Cheng is a member of the Board of Scientific Counselors of the Division of Cancer Treatment for the National Cancer Institute, the AIDS Research Advisory Committee for the National Institutes of Health, the Board of Directors for the American Association for Cancer Research and a member and Chairman of the Therapeutic Study Section at the National Institutes of Health. He was elected as a Special Advisor to the Committee for the Biotechnology Industry in Taiwan, was Chairman of the Action Committee for Medical Biotechnology in Academia Sinica in Taiwan, was Chairman of the Biopharmaceutical Division of Scientific Counselors for the National Health Research Institute in Taiwan and also provided advice on biomedical science research funding for the government in Hong Kong. Dr. Cheng serves as a consultant for many pharmaceutical firms and is the scientific founder of two biotechnology companies sponsored by Yale University. 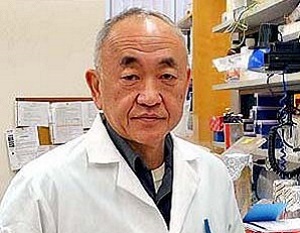 Throughout his career, Dr. Cheng has received many honors and awards, including a Leukemia Society of America Scholar Award, the Rhodes Memorial Award from the American Association for Cancer Research, an Outstanding Investigator Award from the National Cancer Institute, an Outstanding Alumni Awards from Tunghai University and Brown University, an Outstanding Investigator Award in Bio-Medical Science from the Society of Chinese Bioscientists in America, the American Society of Pharmacology and Experimental Therapeutics Award and was the BMRC Distinguished Visitor in Singapore. He has also received several honorary professorships, including from the Union Medical University and the Chinese Academy of Medical Science in China, from Beijing Medical University, from the Institute of Material Medica at the Chinese Academy of Science and he earned the title of Honorary Visiting Scientist at the Institute for the Advancement of Chinese Medicine in Hong Kong. Additionally, Dr. Cheng was elected as an academician of Academia Sinica in 1994 and, in 1998, became a member of the Connecticut Academy of Sciences and Engineering. Dr. Cheng has been on the editorial or advisory boards of many scientific journals, including Virus Genes, Cancer Communications and the Chinese Journal of Pharmacology & Toxicology. He also serves as Chairman of the Consortium for Globalization of Chinese Medicine. Your ticket for the: Yung-Chi Cheng, Ph.D.